What is Alexis Sanchez's net worth and how much does the Man Utd star earn? Alexis Sanchez is a man who has grafted his way to the top. The Chile international’s poverty-stricken start in life is a far cry from his current status as the highest paid player in the Premier League, but how do his earnings stack up when compared to the likes of Lionel Messi and Cristiano Ronaldo? How much does Alexis earn? 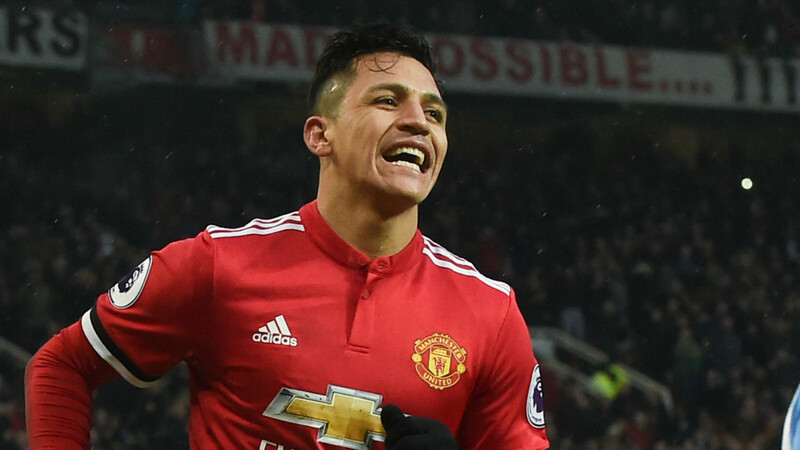 Upon signing for United in the January transfer window, Alexis put pen-to-paper on a £350,000-per-week contract at Old Trafford which made him the highest earning player in the Premier League. Record signing Paul Pogba was said to be the club’s top earner on £290,000-a-week, some £60,000 lower than the January signing. On top of the Chilean’s weekly wage, Alexis will earn substantial bonuses and image right payments, meaning he will rake in around £500,000 a week all included. Over the four-and-a-half years that the forward will be at United it is expected that he will have earned around £108 million in wages as well as a £20m signing-on fee. What sponsorship deals does Alexis have? Alexis has a number of personal sponsor deals with major brands, including Pepsi, and in 2015 was named brand ambassador for Huawei for an undisclosed fee. During Alexis’ time at Arsenal, the Gunners had named the Chinese company as their global smartphone partner and signed the player to join James Rodriguez as a representative in South America. Alexis is also paid a multi-million pound fee by Nike to wear their footwear, having once been unable to afford his own pair of boots as a youngster. What charity work does Alexis do? Alexis has been involved in a number of charity projects and gained a reputation for his generosity during his time in London. The 29-year-old was raised in a small mining town in rural Chile and ‘had nothing’ as a child, with his brother revealing he used to perform acrobatics in the street at the age of six to earn money for his family. As such, Alexis has regularly given back to his community and in 2013 donated £150,000 to repair five football pitches near his hometown of Tocopilla. “I’ve built two football pitches because I wanted the kids to have a decent pitch to play on as I never had that,” Sanchez told Arsenalmedia in 2014. “People can end up going down the wrong path, like alcohol and drugs, and that’s bad news for children. Alexis is also one of a number of high-profile professional footballers to join Juan Mata’s Common Goal foundation in which 1% of the player’s annual salary will be donated to the charity. How many social media followers does Alexis have? Alexis is an active user of social media, boasting 9.6m followers on Instagram, the platform that he uses most. He takes to the app frequently to post about his day-to-day life away from the pitch, and often shares several posts about his dogs. Los Extraño ?? I miss you ❤️? He has a similarly devoted following on Facebook with 5m followers on the platform. What cars does Alexis drive? Throughout his time in England, Alexis has regularly been seen travelling in his £150,000 black Bentley Continental GT. Alexis has also owned a number of Audis, including an R8 which he famously crashed while on the books at Barcelona, and has been seen posing with a white Lamborghini Huracan. While playing for Arsenal, Alexis admitted to tax fraud totalling nearly €1 million to a Catalan court. The forward acknowledged two crimes against the Treasury which took place while he was on the books of Barcelona between 2012 and 2013, with Europa Press reporting an overall value of €983,443. Lionel Messi, Cristiano Ronaldo, Jose Mourinho and Ricardo Carvalho have all also been pursued by the authorities in similar cases. What is Alexis Sanchez’s net worth? The Manchester United man is estimated to have a net worth of around £35m. Alexis’ first contract on his road to the top was with the youth team Cobreloa in Chile, with whom he earned a flat fee of 50,000 pesos (£45) per month. His first major deal came in 2011 when he signed with Barcelona in a move which initially earned him £80,000-a-week and £10m in bonus payments. Alexis then earned a weekly wage of £130,000 at Arsenal, before leaving for a bumper deal at Old Trafford. While Alexis’ weekly salary isn’t far behind the likes of Ronaldo and Messi, his personal fortune is considerably lower than the pairs’ – Ronaldo’s empire is reported to be worth between £200-250m, with Messi’s somewhere in the region of £200-230m.